Here are some Asylum pictures I took. 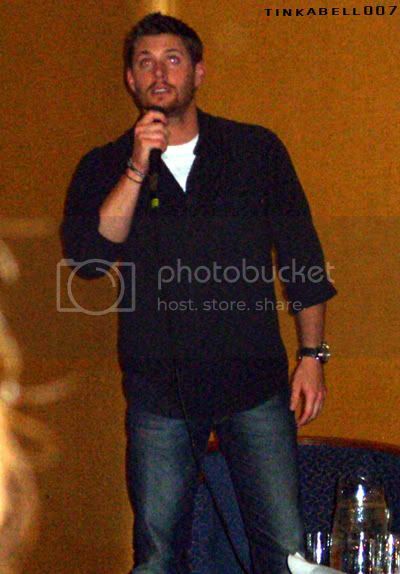 Unfortunately my camera really hated the light in the main hall, so the pictures didn’t turn out as good as I hoped they would. Still, some are quite nice :) And I’m especially happy with the Alona picture I took while she was walking off the stage. 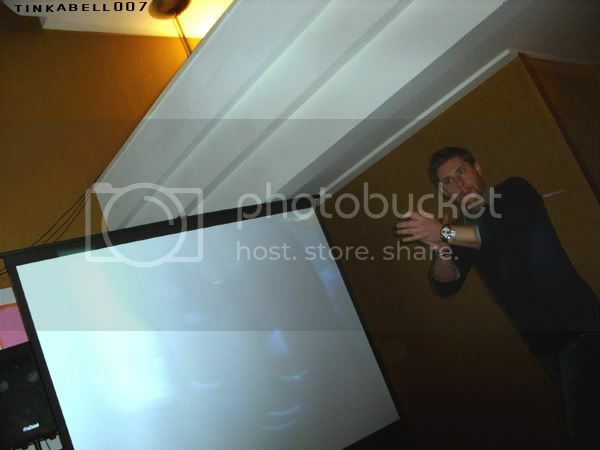 those pics are awesome! And you really got a beautiful pic of Alona!! Very nice!!! Alona is so cute and tiny! 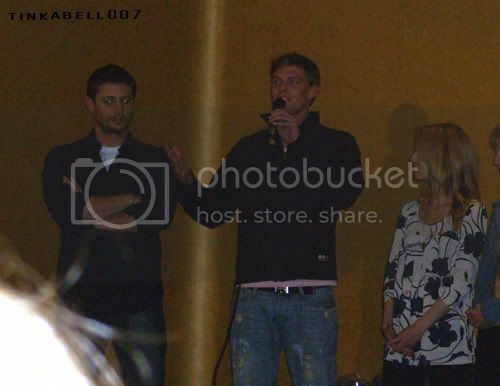 She looks like she can fit in Jensen's pocket or something--haha! Thanks for sharing..the one of Alona is beautiful! Camera flare, or no camera flare. 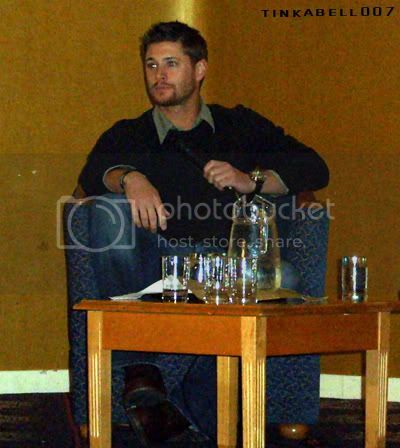 Jensen still looks freakin' hot! Thanx so much for posting these! Hehe, "steal" away, I don't mind at all :) Btw, I also posted some Asylum vids at my LJ (and more to come), maybe you'd like to check them out as well. Yep, exactly! Wayne himself said that he's really trying to get JDM as well. All with a bigger and better venue. 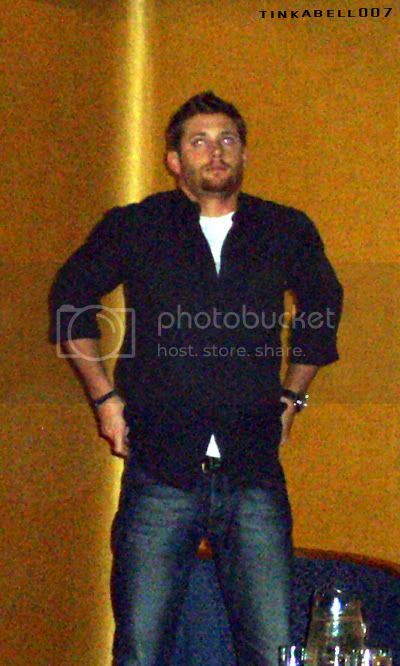 Was a bit worried I would be one of few that went threw the "trouble" of travel to get to see Jensen. 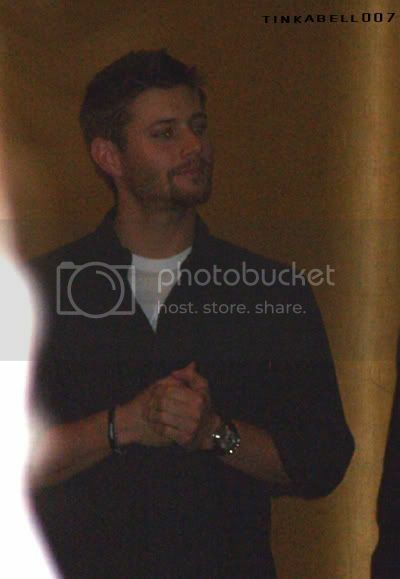 Man traveling from US and Canada to see Jensen (and the other folks) who do spend a lot of time in their country. That is cool. 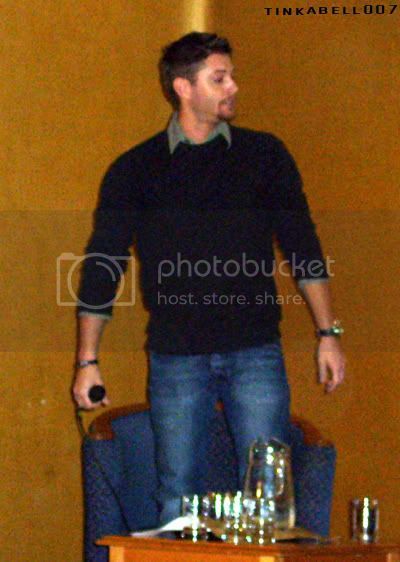 I am going over there to meet some fellow SN fans so guess... I AM THAT "crazy" ... but what is the fun in living without doing something fun? And yeah... I wasn't going to let this opportunity get away from me. 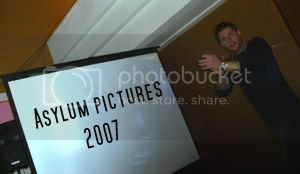 Have watched Jensen on tv since he was in Days... and then in Dark Angel, then in Smallville (not so much in Dawson cus that was a crap show in my mind). 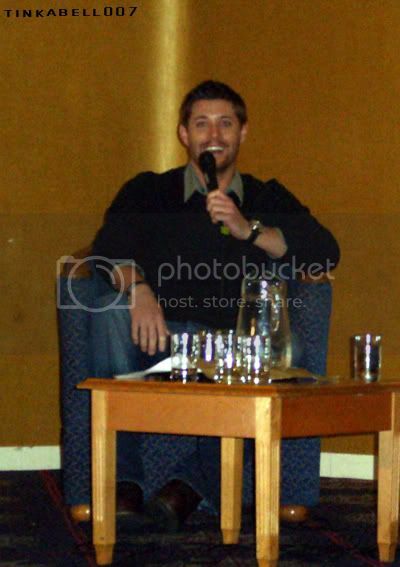 Still... Jensen Ackles in friggin England... How could I NOT go really? Well I am not going to the US before August... Still would be cool to see him in the play. But we can't have it all now can we? But we can't have it all now can we? Do you mind if I use some for a picspam, crediting you?